When it comes to optimizing search engines for a website, some businesses may be afraid of the amount of information out there. And often, if they do not have the help of an SEO consultant, they will not do anything. Fortunately, Evolve Studio offers you seo services at an incredibly affordable cost. Every business should invest in the optimization of search engines. Optimizing your website to search engines algorithms is the process of optimizing your site to maximize organic traffic. There are people looking for your products or services in search engines. There are over 2 billion people online. 93% of online activities start in a search engine. Every second, about 40,000 search queries and 3.5 billion searches per day are performed. There are millions of opportunities for your business to find in search engines. One of the most important benefits of SEO is that your customers are using search engines every day. If you are not on the first page, you are not winning. It’s no secret in the SEO world that if you’re not on the first page, chances are you’re not winning in the rush to user clicks. A recent study shows that the top three positions in the search ranking give almost 40% of all click-throughs, while up to 30% of all results on page 1 and 2 are not clicked at all. What does this mean? Two things: if you are not on page 1, you must be there, there are still too many cases where a user types a search query and can not find exactly what he is looking for. Local seo means greater involvement, traffic and conversions. With the growing dominance of mobile traffic, local research has become a key part of the success of small and medium-sized businesses. Local SEO aims to optimize digital properties so that people can quickly and easily find what they are looking for, putting them one step closer to a transaction. Local optimizations focus on cities, regions, and even specific states to establish a valid means of messaging a brand locally. To do this, the SEO must optimize the site and the high quality content, highlighting the local citations and backlinks, as well as the local listings relevant to the position and the business sector of a brand. There should also be a strong emphasis on user reviews. SEO is a long-term strategy. Like anything that really matters, SEO also takes some time to deliver results. It may take 6-12 months to see the optimum rankings. However, as it takes time to move up in the order, it takes time to fall down. Once you rank high on Google, you rarely go down. The only reason that this will change is because of increased SEO competition or changes in the Google algorithm. “Kill or get killed”. Your clients start their online journey with a search. Your competitors are using the search to increase their business. Sooner or later, if you are not using the search to increase your business, you will not have a business! If you have a small business, you may have realized that it is difficult to pass the biggest competitors in AdWords. However, an effective SEO strategy may be your way to earn higher rankings. While the largest companies rely on advertising, you can rely on an SEO strategy to attract as many customers as possible. Your business becomes more valuable as your listing on Google and other search engines increases. If you are in the market to sell your business, many buyers will see good rankings on Google as a precious asset. This is likely because the ranking thanks to SEO tends to maintain its value and to rely over the years. SEO is the new strategy “PR”. This makes Public Relations (PER) to make sense. In order to rank high in the search engines, you should have quality backlinks. Backlinks are links from external websites that link to your website. The more you have, the more important your site is. The more important your website is, the higher it will rank. Acquiring quality backlinks may require publicity. The more publicity you have, the more likely you will gain qualitative backlink. Both go side by side. SEO will increase your followers in social media. SEO will add more social media followers. 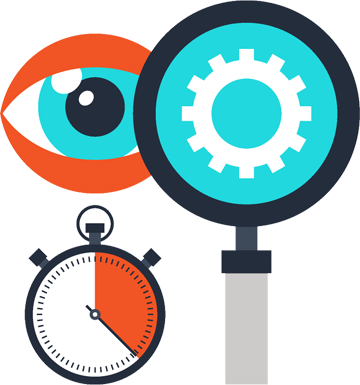 As your visitors are searching for your website, they are likely to click on the icons of your social media to track you. An effective SEO campaign will create thousands of internet visitors, which you can expect to translate to a smaller percentage of followers. As your website authority rises within search engines, some things will happen. The individual blog rank on Google will increase. Blog content is more likely to be found on Google. And lately, you’ll likely gain more referral traffic from your website by promoting your blog across your site. Plus, SEO is mobile friendly. Even if SEO does not offer a ROI that is easier to calculate than paid research, it is possible to measure almost everything with adequate monitoring and analysis. The big problem is trying to connect the points because there is no definitive way to understand the correlation between all the actions taken. However, it is worth understanding how some actions affect performance and growth. The benefits of SEO are endless. SEO is the smartest marketing investment you can make. It is a long-term asset for your business. It generates traffic, drives and sales. Does not require any advertising. Your clients are searching for it now. And, one of your competitors is growing your business significantly from that. If you want to grow your business without cold calling, networking or other forms of “push” advertising, invest in a SEO campaign today. Doing SEO is a very good marketing tool that can, together with landing pages and effective content marketing, bring your business up and get you customers. Studies show that SEO can have a ROI (return on investment) better than traditional forms of marketing (TV, press, radio, etc.). SEO should be an integral part of your digital marketing strategy. Evolve Studio can increase the search engine rank and site traffic of any company. 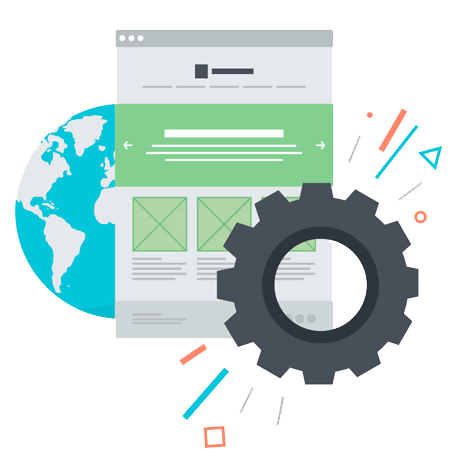 The expertise offered by our technical and copywriting staff enables us to successfully meet the needs of companies with complex websites in competitive industries. Before beginning a search engine optimization (SEO) project, it is important to understand the process involved in an effective SEO campaign. Evolve Studio caters to clients who require an intensive, full-service approach to search engine marketing.